The Swiss real estate market is burgeoning despite several economic hurdles. Recent market research indicates that despite economic pressure in the last couple of years, there was no reduction in property valuation figures in the country. With its lucrative and pristine surroundings, Switzerland continues to attract investors from all over the globe. Apart from wealthy investors the country has a high demand for holiday property particularly in the regions surrounding the Swiss Alps. In this blog we would like to consider a few fundamental rules of Swiss property and examine the legal issues involved for owning and purchasing property. In Switzerland property law is governed by the Cantonal and federal regulations. These institutions set out the requirements for real estate sale deeds to be signed and validated. Owning property in Switzerland involves a number of stipulated rules that must take place in the land registry. Any property in Switzerland must be registered by the land register, exceptions to these are military and religious premises which do not have to be registered, unless the Cantonal authorities stipulate so. A land registry must include important details including title information, mortgages, along with references and annotations detailing contractual pre-emption rights and selling restrictions. While the land registry includes important information, the title registry will also include pertinent information on the property. Details such as the description of the property, name and identification of the owner, and date of acquisition are all included and made publicly available. A power of attorney from the owner may be required to make other confidential information available. In any real estate transaction, the first document examined will be a certified land registry. This information will be used for potential buyers to learn more about the entire content of the real estate assets. In Cantons like Geneva for example, newspapers are allowed to publish the sale prices of all real estate properties. Nevertheless, ownership restrictions and public law restrictions are not included in the land registry. 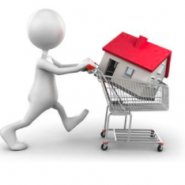 Both the buyer and seller must abide by the law and pay legal taxes. There are two factors to consider, at the federal level, gains realized by the disposal of real estate property which was part of a business assests are taxable. At the cantonal level the disposal of real estate is subject to income and/or capital gains tax. Most Cantons and municipalities charge a real estate tax transfer. Foreign nationals can purchase properties in Switzerland. However, under certain circumstances foreign nationals will need a permit to do so. EU/EFTA citizens have the same rights as Swiss citizens and do not need a permit to purchase property. Third country nationals will not require a permit to buy property if they hold a valid residence permit i.e. B permit. A permit will be required in order to purchase certain types of apartments such as holiday apartments, housing units or a second home. If you live abroad, you can also purchase property but certain restrictions apply depending on the Cantonal authorities. Once you have set your sights on a property and wish to proceed with purchasing it, a local Swiss public notary will act for both the purchaser and the seller to complete the transaction. Afterwards you will need to complete personal detail forms along with power of attorney documentation. You will also need to complete the payment of the agreed deposit to the Notary’s account and finally sign the deed for the sale. The property becomes finally yours when your name is recorded at The Land register. FERZ SA can help you learn more about your rights when it comes to purchasing property in Switzerland. With proper legal representation you can ensure a smooth purchasing transaction, thanks to our experienced team who will provide you with the needed advice and consultation you need.